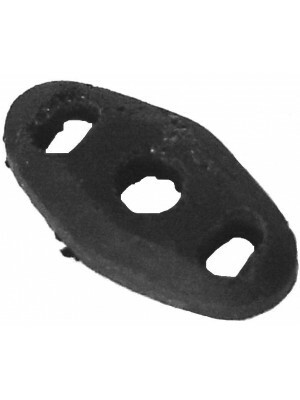 Starter Rod Grommet - This rubber grommet was used on the 1928-early 1930 Model A's on the engine side of the firewall. It used NO metal cover originally. This is fastened with two 12/24 round headed slotted bolts.